I LOVE Texas Roadhouse Rolls and Butter. 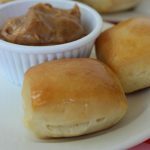 I would choose to eat out at Texas Roadhouse just for the rolls and butter but that can be VERY expensive. 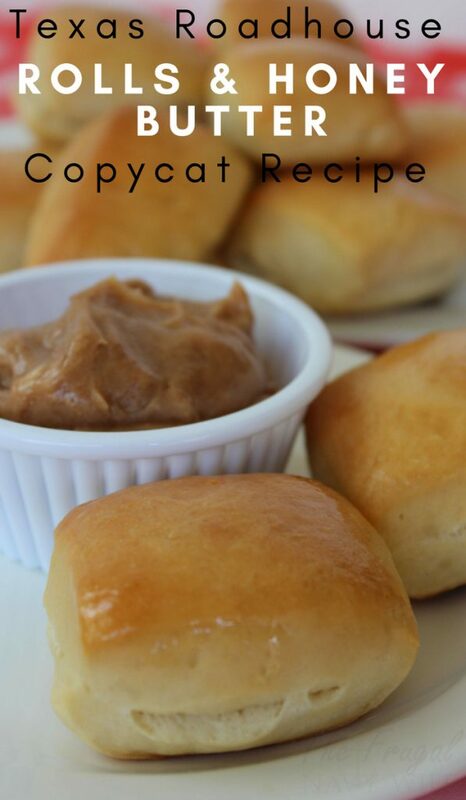 So I went on the hunt for a Copycat Texas Roadhouse Rolls Recipe and this is one we have settled on and LOVE! 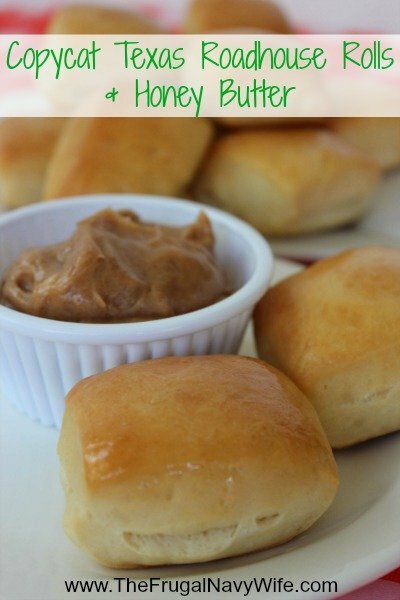 Not only does it include the honey butter but this recipe makes 24 rolls and we make it several times a month! Boil the milk and then allow to cool to warm temperature. Add yeast, milk, and Honey and mix. Let mixture sit for at least 5 minutes to allow yeast to bloom. In a stand mixer add yeast mixture, egg 3 tablespoons melted butter, and 2 cups of flour. Using the bread hook Mix on low until smooth. 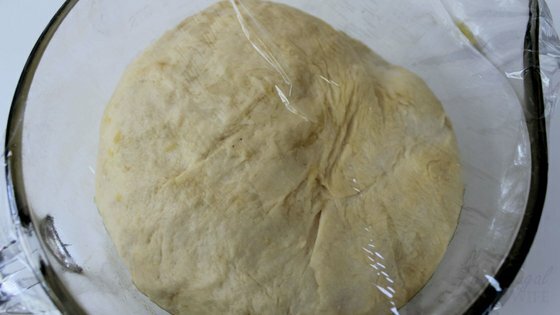 Keep slowly adding flour until dough forms, then add salt and allow the mixer to knead for 8 minutes. Flour work surface and knead dough for a few minutes. Spray bowl with cooking spray and place dough in bowl then Cover with a damp cloth and let rise in a warm place for about an hour, until doubled. Place dough onto a floured work surface. Roll dough into a 1/2” thick rectangle. 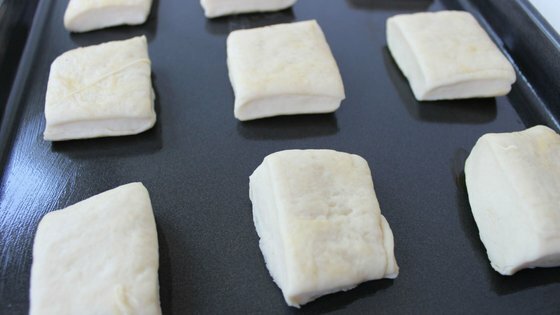 Cut dough into squares (about 24) and place on greased baking sheets about an inch apart. Cover with a damp towel and let rise 40 min, until almost doubled in size. Bake 12-15 minutes or until golden brown. As soon as you pull out of the oven brush with remaining melted butter. For butter whip all ingredients for honey butter together until smooth.